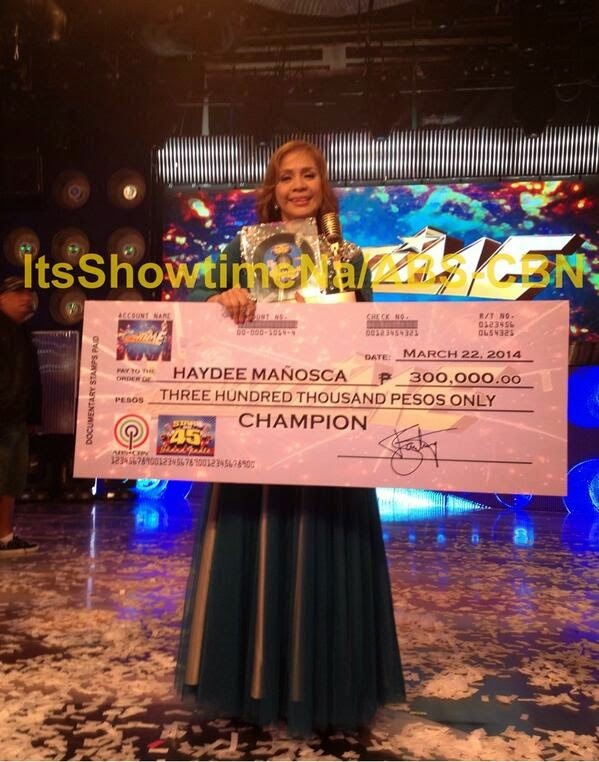 Manila, Philippines - ABS-CBN's noontime show It's Showtime named its very first grand winner of “Stars on 45” on Saturday, March 22, 2014. Haydee Mañosca, 45 year-old from Taguig City won the grand prize of P300,000. Mañosca drew strong cheers for her rendition of All By Myself & Listen. Heidi Mañosca wowed the Finals judges KZ Tandingan, The Company’s Sweet Plantado and Moy Ortiz, composer Louie Ocampo, Randy Santiago, and Gary Valenciano. Charlie Fry who sang 'At Last' & 'Payphone' received the second runner-up award and has received Php 100,000. Meanwhile, Carmelita Abrenica with her rendition of Missing You & Dance Again was named first runner-up and will take home Php200,000. 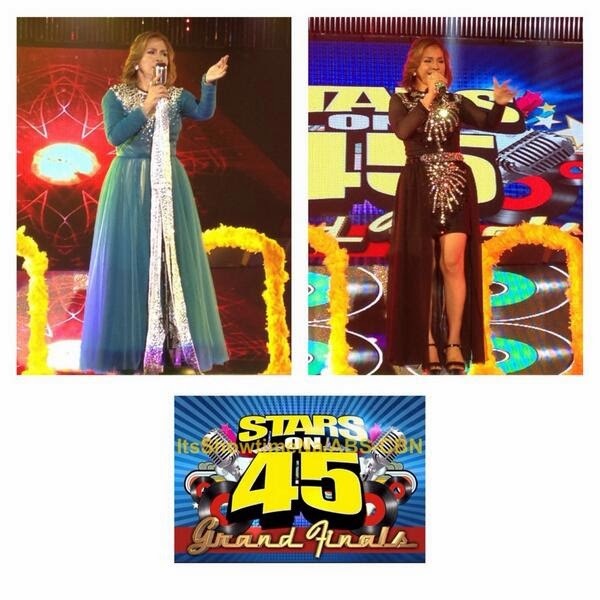 The final battle of 12 middle-aged contestants on "Stars on 45" became a hot topic on Saturday as #StarsOn45GrandFinals topped the nationwide trending list on Twitter. Stars on 45 is a segment of the show featuring contestants aged 45 and over. Contestants sing two songs of their choice. The first is an old-fashioned song and the second is a more modern song.